The Widelux is a swing-lens panorama camera manufactured between 1959 and 2000 by Panon Camera Shoko in Tokyo. Widelux, as well as its predecessor the Panon, uses a lens which swivels through a horizontal arc, projecting an image onto a cylindrical film gate. The principle is similar to the Noblex and Horizont cameras—or for that matter the Kodak Panoram series, begun in 1899. 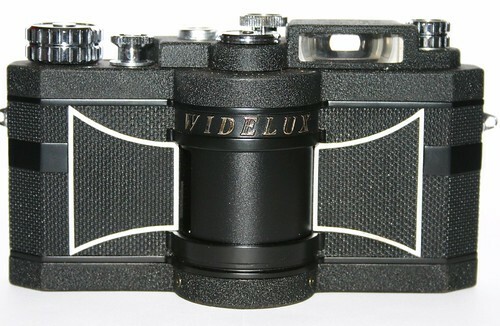 In 1959 the company introduced the Widelux FV which used 35mm film (135), and which underwent various model upgrades (the last model F8 ceased production in 2000). 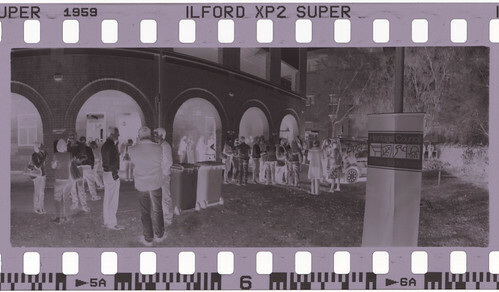 The Widelux F-series models were designed for 35mm film, giving horizontal coverage of about 126° and a vertical coverage of 55º (24 x 59mm image size). Based on serial numbering, it seems that only about 20,000 total 35mm cameras were produced. This page was last edited on 30 May 2017, at 10:34.